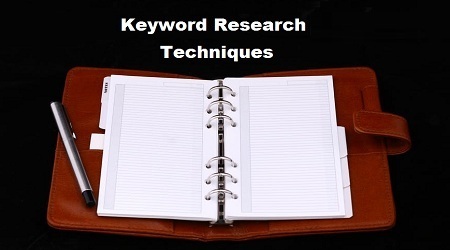 It is no more a secret that keyword research is the most important part of any Search Engine Optimization campaign. Keywords determine your content, your competition or even your customer. But how can you find high volume and profitable keywords that your competitors does not know about and without doing weeks of research or use any expensive keywords research software. So, here are 4 unique keywords research techniques to find underground keyword opportunities that your competitors does not know about. Most people research keywords the way that are completely wrong. Because, most of them start off their keyword research process and they lands up in Google keyword planner. Google keyword planner is one of the places you want to look for awesome keyword ideas for your business. But Google’s keywords planner search keywords tends to give you very close variations of the keyword that you put into it. For example, if you put the keyword “weight loss” into the planner, it spits out with really close variation like weight loss tips, weight loss strategies etc. It doesn’t give you intelligent related keywords like nutrition or exercise etc. The other problem is that it tends to give the same exact keywords to everybody, including your competitors. So, in order to find keywords that are profitable keywords and also keeping in mind that your competitors doesn’t know about it, you need to step outside of the Google keyword planner and use one of the following 4 techniques. Quora is basically similar to Yahoo which accepts answers that are actually useful. And another feature is that when you search for a keyword in Quora, it shows you the most popular questions that are asked in Quora. Which means that people are interested in or the keywords that people search for in Google. So just head over to Quora and put in a keyword related to your niche, and you can find questions and answers. So you actually want to look at the questions, find keywords that come up again and again, put those into the Google keyword planner, and you can also read the threads themselves to see if there are any follow-up questions, which are also potentially and which are great keyword ideas. Wikipedia is one of the most underutilized keywords research resources online. Where else can you find topics that are curated by thousands of experts and organized into neat little categories? To use Wikipedia for keywords research, just head over to Wikipedia and enter a broad keyword. For example, if you are searching for a keyword like personal trainer, head over to Wikipedia and put in a broad keyword like fitness and then when you look at that Wikipedia entry, take a look at the contents on that page. Each of the contents are basically the keywords that you can put into the Google keyword planner to see the search volume and also to generate new keyword ideas. You might probably wondering how you can use Amazon for keyword research. Well, just head over to Amazon, enter a keyword in the book section, and find a popular book in your niche. Then click on and look inside, you will have a list of contents of that book. It is basically each chapter within the table of contents are great keywords ideas in and of themselves, and they are also great SEO keywords that you can put into the Google keyword planner to find some close variations. This is a way to use Google to find keywords ideas without using Google keyword planner. So, look at the bottom of Google search results that you may not have been noticed, and it is one of the best places to find new keywords ideas. It is called “searches related to”. It is Goggle’s term for showing the related keywords that you put in. So, to use searches related to, just enter a keyword related and if you are a personal trainer you could put something like fitness, scroll down to the bottom of the page and look at searches related to. A lot of times, these are keywords that the Google keyword planner will never show you.